This conversation of swapping ideas inspired one of the moms who decided to send out an email to a larger group of moms, asking that we share our favorite Crock-Pot recipes. The results have been amazing! So, I asked their permission to begin sharing some of these family-pleasing Crock-Pot meals with the 24/7 MOMS. This week I’ll share two of them in hopes that they will help you when you are on the go and in need of some family-pleasing meals. Here is a spaghetti recipe that I make in the crock pot quite often. My family loves it! Brown the beef with the onion. Drain grease. Place all ingredients in the pot. Let cook all day. Yum! Yum! You'll have leftovers, and it freezes very well. Some say it is even better the next day! Enjoy! Add additional water (about 1½ cups). Cook on low all day. About ½ hour before serving pull chicken apart and return to Crock-Pot for about ½ hour (just to meld flavors). Do you have a simple Crock-Pot recipe to share? Email it to trisha@247moms.com to share it with the 24/7 MOMS. Are you Ready for THREE of my favorites this week? Spot Shot- Being the Mom to 5 kids and now our newly adopted baby Sophie (puppy), I was in need of a NEW carpet stain and odor eliminator so when MOM Central and Spot Shot gave me the opportunity to try out their NEW Non-Toxic Spot Shot I was eager to give it a try…and the results are AMAZING, whihc is why Spot Shot will be a repeat purchase for the Novotny house….It is already on my Target list to now purchase and try out the Spot Shot Pet formula as well. The New Spot Shot Non-Toxic and biodegradable carpet and stain eliminator is safe for both my kids and puppy, it has already been a success eliminating new and old stains from my carpet and is even environmentally friendly. So, if you have been wondering if Spot Shot is worth a try. I give it the Novotny Family approval stamp. 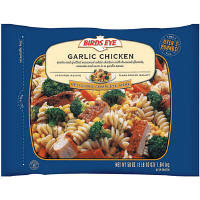 Once again I found a simple, yummy meal at Costco that my family LOVES – Birdseye Garlic Chicken it is found in the frozen food section and comes in a BIG bag. It does not get any easier then this. Simply buy the bag, bring it home, get out your skillet and pour the desired amount for your family meal into the skillet add the directed amount of water and cook for 10 to 18 minutes (depending on the amount you are cooking). That is it grab some plates and you have an all in one meal. My kids love it and I love the simplicity of cooking it on those busy crazy nights. I served it along with some fresh fruit. Did my 8 Hints help you guess? If not hurry and check out www.247momsconference.com , there is still TIME to get in on the Secrets and save $20.00 on your registration don’t miss out on the MOM event of the year. Celebrate National Museum Day by visiting a local museum for free! Find out which museums in your area are participating at http://microsite.smithsonianmag.com/museumday/. On Saturday from 2 to 4 pm you can take your kids to Borders for a Kids Party event that includes games, story time, and activities. Please call your local Borders to confirm that they are participating in this nationwide FreebiEvent before you make the trip to the store. This month 24/7 MOMS and Yoplait yogurt are giving away a convenient travel cooler and a fun, educational game of Brain Quest for kids along with a coupon for a free yogurt treat. Enter by leaving a comment or emailing us at trisha@247moms.com with your name and email address. Contest ends September 30, 2008. The new go-to, how-to resource for moms. Stop by http://www.quamut.com/ and discover something new today! 24/7 MOMS has three Quamut charts to give away this month: Baking Cookies, Cooking Basics and Pregnancy. Email us at trisha@247moms.com telling us which one you would like to win along with your email address and you'll be entered for your chance to win. Christmas is 89 days away according my Google search today. Are you already making your lists and beginning to think about the upcoming holiday season? 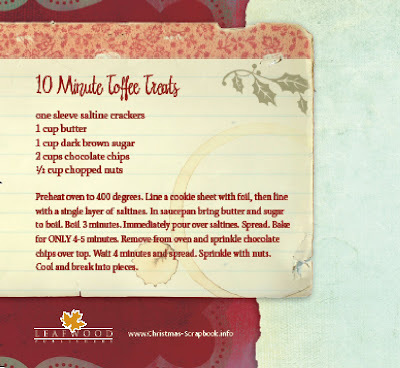 As busy moms, I know we always appreciate new ideas on simplifying the holidays, as well as gift ideas for giving. So, when I was asked you to share with you, the 24/7 MOMS, about this new book A Scrapbook of Christmas Firsts, I knew right away that it would be a great resource for you this Christmas season. I am even going to give away one copy of this inspiring book to one of you. All you have to do is leave a comment here on the 24/7 MOMS blog with your email address and you will be entered for a chance to WIN this book. 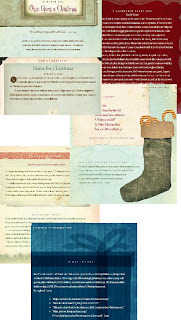 There is a 2nd contest going on over at http://scrapbookofchristmasfirsts.blogspot.com/. Everyone who leaves a comment there will be entered for a chance to WIN a Christmas basket filled with goodies (value $200.00). 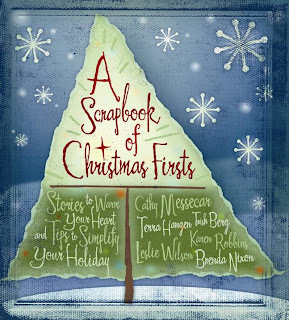 Now for more about this new book - read the latest interview done with the authors of A Scrapbook Christmas Firsts. 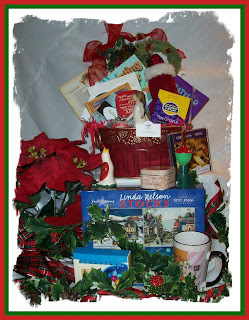 Be sure to leave a comment here at 24/7 MOMS for your chance to WIN this new book then head over to http://scrapbookofchristmasfirsts.blogspot.com/ to enter for your chance to win a basket filled with Christmas goodies. Freebie Betty Crocker Potatoes – Sign-up for The Dinner Made Easy newsletter and get a FREEbie sample of Betty Crocker Potatoes at http://www.startsampling.com/sm/BettyCrockerPotatoes/captureAddress.iphtml?item=100371&source. FREEbie Quaker Simple Harvest chewy granola bar sample at http://www.quakersimpleharvest.com/qsh_offers/index.cfm also be sure to print your $1.00 off coupon. “Great Start for Great Teachers” As schools gets back into session; Starbucks is helping to kick-off the school year for teachers in our communities. Beginning Monday, September 8, teachers of grades K-12 are invited to their local Starbucks coffee house for a complimentary tall size (12 fl. oz.) cup of Pike Place Roast™ every Monday throughout the month of September. In order to receive their complimentary cup of Pike Place Roast™, teachers are asked to provide proof-of-current teacher status – such as a teachers’ federation card or school district badge. The “Great Start for Great Teachers” special offer ends after Monday, September 28. One of our 24/7 MOMS Team members Tanya shared with me that Wal-Mart has an online clearance section where you can get great buys. So, I went online to http://www.walmart.com/ typed in CLEARANCE in the search box and it gave me a menu to choose various areas I could shop for clearance items, from toys to apparel. You can find some great deals. Time to stock up on candy for the many trick or treaters that will arrive on my door step come October 31st. This week at my local Target they have bags of fun size M& M’s, Snickers, Kit Kats and more on sale 2 bags for $4.00 plus on most packages there was a $1.00 off the purchase of 2 packages coupon stuck on the outside of the package for immediate use …which makes it 2 fun size bags of candy for $3.00 what a deal an entire bag of fun size snickers (or other varieties) for $1.50. Today I took a shopping trip over to my local Target to pick up a few more things that #1 Son needed for dorm life. You know the basics like sheets, towels, comforters, towels, school supplies, frames etc. The best part of my trip to Target was that everything I needed was on clearance 30% to 75% off. So, if you are in need of sheets, blankets, towels, frames or even School supplies, head on over to your local Target and check out their clearance items all over the store. Do you have a THRIFTY find this week? email us at trisha@247moms.com and share it with us. This week I discovered the Swanson Broth website (http://www.swansonbroth.com/default.aspx) which is filled with great recipes. You can even sign-up for a creative cooking newsletter filled with delicious new meal ideas, time saving tips and more sent directly to your inbox. While surfing their site I found two great fall recipes to share with you that are quick to prepare (less than 30 minutes) and sure to please your family. 1. Heat oil in 12” skillet over medium-high heat. Add chicken and cook for 10 min. or until it’s well browned on both sides. Remove chicken and set aside. Increase heat to high. Stir broth, garlic, rosemary, thyme, potatoes and green beans into skillet. Heat to a boil and cook for 5 min. 2. Return chicken to skillet and reduce heat to low. Cover and cook for 12 min. or until chicken is cooked through and potatoes are tender. Season to taste. TIP: Herbed Chicken Dijon with Wine: Add 1/4 cup white wine, 1 tsp. lemon juice and 2 tbsp. Dijon-style mustard with broth. Substitute Yukon Gold for sweet potatoes. Cook the beef, onion, garlic and parsley in a 3-quart saucepan over medium-high heat for 10 minutes or until the beef is well browned, stirring often. Pour off any fat. Stir the pasta in the saucepan. Reduce the heat to medium. Cook for 10 minutes or until the pasta is tender. Stir in the cheese. Serve with additional cheese, if desired. Do you have a favorite Swanson Broth recipe? Send it to us at trisha@247moms.com. We would love to share it with the 24/7 MOMS in a future publication. My friends at Mom Central told me about this new site called The Responsibility Project http://www.responsibilityproject.com/ spondered by Liberty Mutual. Their motto is: We believe the more people THINK AND TALK ABOUT RESPONSIBILITY, the more the world becomes a better place. This site is filled with Films and Resources to teach responsibility along with some other helpful resources. There is also a great blog that you can check in on and read filled with posts containing proactive articles and stories about responsibility. Basically a one stop place on teaching responsibility. So, if you are looking for ways to teach responsibility? Check out this new site. Ok, so it’s not really my Favorite but it is definitely my kid’s favorite meal this week….The famous Costco FRESH chicken pot pie is back. This is a seasonal item and with fall in the air Costco has begun making these yummy pot pies once again. My children devour these and if there are any leftovers they are sure to hide them in the fridge from their siblings so they can eat them up the next day. The Costco Chicken pot pies are found in the refrigerated meat section where you find the fresh prepared salads, meat trays etc. Last spring when Costco removed these my children were pretty bummed. So, when I arrived home this week with one, they were ready to devour it as soon as I baked it. It does take 90 minutes to bake so plan ahead for baking time. This is a great all in one meal. I am a BIG fan of Victoria Secrets body splashes they come in a variety of scents my Favorites are Love Spell, Endless love and the new scent Berry Kiss. Right now they are a bargain at 3 for 24.00 or 5 for $30.00. These make great gifts for your female family members and Mom friends as well as those Teenage girls in your life. If you happen to own a teenage daughter these make the perfect stocking fillers for the upcoming holidays. Go Fish http://www.gofishguys.com/ who are three talented guys that have created great CD’s for kids full of catchy tunes and positive lyrics. I took my 2 youngest boys to see them in concert last year and they were extremely entertaining that even the MOMS got into it. These guys are truly adored by both kids and moms. You can check out their web site for all their great music, concert schedule and even sign-up for their e-list and get a free song . Be sure to check out Jamie’s blog. http://www.gofishguy.typepad.com/ (one of the go fish guys). Now are you ready for some MOM entertainment by these fun and entertaining Go Fish Guys? A little background: Neiman-Marcus, if you don't know already, is a very expensive store; i.e., they sell your typical $8.00 T-shirt for $50.00. Let's let them have it! THIS IS A TRUE STORY! My daughter and I had just finished a salad at a Neiman-MarcusCafe In Dallas, and we decided to have a small dessert. Becauseboth of us are such cookie lovers, we decided to try the 'Neiman-Marcus cookie.' It was so excellent that I asked if they would giveme the recipe, and the waitress said with a small frown, 'I'm afraidnot, but you can buy The Recipe.' Well, I asked how much, andshe responded, ' Only two fifty - it's a Great deal!' I agreed to that,and told her to just add it to my Tab. Thirty days later, I received my VISA statement, and the Neiman-Marcus Charge was $285.00! I looked again, and I remembered Ihad only spent $9.95 for two salads and about $20.00 for a scarf.As I glanced at the bottom of the statement, it said,'Cookie Recipe-$250.00.' That was Outrageous! I called Neiman'sAccounting Department and told them the waitress said it was'two fifty', which clearly does not mean 'two hundred and fiftydollars' by any reasonable interpretation of the phrase. Neiman-Marcus refused to budge. They would not refund my moneybecause, according to them, 'What the waitress told you is not ourproblem. You have already seen the Recipe. We absolutely will notrefund your money at this point.' I explained to the AccountingDepartment lady the criminal statutes which govern fraud in the Stateof Texas I threatened to report them to the Better Business Bureauand the Texas Attorney General's office for engag ing in fraud. I wasbasically told, 'Do what you want. Don't bother thinking of how youcan get even, and don't bother trying to get any of your money Back. 'I just said, Okay, you folks got my $250, and now I'm going to have$250 worth of fun. I told her that I was going to see to it that everyCookie Lover in the United States with an e-mail account has a $250cookie recipe From Neiman-Marcus...for free. She replied, 'I wish youwouldn't do this.' I said, 'Well, perhaps you should have thought ofthat before you ripped me off!' and slammed down the phone. Please, please, please pass it on to everyone you can possibly think of.I paid $250 for this, and I don't want Neiman-Marcus to EVER make another penny off of this re cipe! Measure oatmeal, and blend in a blender to a fine powder. Cream the butter and both sugars. Add eggs and vanilla, mix together withflour, oatmeal, salt, baking powder, and soda . Add chocolate chips,hershey bar, and nuts. Roll into balls, and place two inches aparton a cookie Sheet. Bake for 10 minutes at 375 degrees.Makes 112 cookies. 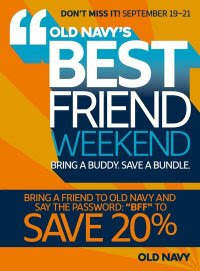 Old Navy is hosting a Best Friend Weekend this coming weekend, both in stores and online. Beginning Friday, September 19, at 9:00am until Sunday, September 21, at 10:00pm. Bring in a Friend, say the password ‘BFF‘ and you’ll both save 20%!RSVP now and invite your friends. To redeem in store, you and your friend need only say the password ‘BFF’ at time of purchase. To redeem online, enter this promo code at checkout: BFFOnline code limited to one time U.S. purchase only. Offer valid on Old Navy merchandise only from September 19, 2008 to September 21, 2008 in the US (including Puerto Rico) at gap.com, bananarepublic.com, oldnavy.com, piperlime.com, and Old Navy stores in U.S. & Canada. If you have a teenager in the house, you have probably heard the name Imperial Motion (http://www.imperialmotion.com/). If you have not, I suggest you click over to their site (http://www.imperialmotion.com/) and check out this creative line of rad clothing for guys and girls. You might even see something you like. Now for the big news - This Saturday, September 20, from 10:00am – 5:00pm they are hosting their annual Goodies Sale from tees to board shorts and so much more. You want it, they got it. So, bring your teenager to the hottest sale of the season, and they just might think their parents are cool after all. The sale will be held at the Imperial Motion Warehouse, 1112 Center St, Tacoma, WA. A great way to coupon shop is signing up for discount cards at local stores and restaurants. This week I signed up for the Qdoba Card. I earn points towards future FREE meals. Qdoba Mexican Grill has arrived in Gig Harbor with fresh food and fast service. I personally love their vegetarian tortilla soup and their homemade tortilla chips with a touch of lime and salt flavor. Be sure to sign up for the Qdoba card – the more you eat the more you earn. Pick up your card at Qdoba and once you register it online you will automatically be credited for a FREE basket of homemade chips and salsa on your next visit. Each time you visit you earn points towards FREE meals. 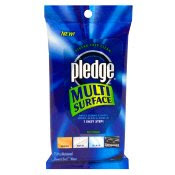 Freebie sample of Gain detergent – Another great sample you can use when traveling. Did you read about us in the Gig Harbor Life newspaper? From the moment women announce they are pregnant, advice begins to pour in from every direction, some of it is unsolicited, and some of it is sought after. There are classes during pregnancy, support groups for new mothers, and support groups devoted to childrearing. The focus is usually on the pre-school years, and to some extent, the elementary years, but then tapers off considerably as the children get older. By the time children reach middle school, those support groups, and programs for parents are all but gone. Gig Harbor resident and mother of five, Trisha Novotny wanted more. She also wants more for other mothers, and not just in Gig Harbor. Novotny took the tool of the Internet and set out to revolutionize mothering on a worldwide scale. 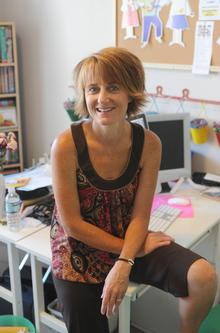 She set up a blog site, www.247moms.blogspot.com, where Moms can get tips about everything that pertains to being a mother of children at every age, and running a household. "As I continued on my mom journey, I realized the need to equip, inspire and connect moms," Novotny said. This online support system was launched in January and within a month 300 mothers signed up to be on the e-mail list, she said. There are now more than 700 on that list, and mothers from across the globe are engaging on the site. She knew there was a need, but the response was truly overwhelming, and Novotny said she had to ask her friends for help. The email list alone was huge, and the products kept coming in from various companies hoping Novotny would tout them on her site. Michelle Faussett has known Novotny for 20 years, and said it is only natural that she has started to help with 24/7 Moms in some way. "Pretty much when Trisha decides to do something, Michelle is a part of it," Faussett said of her close relationship to Novotny. "Trisha and I both have older and younger kids, and as the older ones have gotten older, we've just had each other to talk to." Though Novotny said she was very involved with Mothers Of Preschoolers (MOPS) in Gig Harbor for many years, she felt disconnected from other mothers as her preschool-aged children became elementary school students. That feeling of isolation got worse as the children got older. "Where was the mom to talk to about what my middle schooler was going through?" she said. "We get all kinds of speakers who tell us how to feed the child, and what foods, and how to get through the terrible 2s, but who is there to tell us how to keep our kids safe on the Internet, or how to help them with math homework, or tell us about vacations that can save us money?" By having a dedicated place online for mothers to visit, post comments, and read advice from other moms and experts, she said, mothers are feeling empowered. Another friend, Tanya Piela of Tacoma has helped with the marketing of the site, and created a temporary logo that sort of stuck, she said. "We have made some minor changes to the logo, making it what it is today," Piela said. 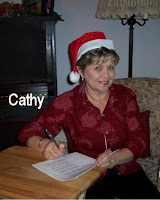 "I also help her collect and organize the articles, as well as send out the E-news every month." Because the response to the site has been so great, Novotny has been inspired to hold a 24/7 Moms Conference. Piela said she has helped with marketing the conference, which will be held Oct. 10 and 11 at the Wesley Inn and Conference Center in Gig Harbor. With a 4-year-old son, Piela knows some of the challenges that come with motherhood. She and her husband are hoping to have more children, and she said some of the information has been helpful to her as a cousin to young girls. "This group has been great in giving me advice in how to deal with some of the issues they are going through and have come to me about," she said. "That is why I love it most, it is not a group with moms whose children are a certain age, they range significantly." As a mother of five children elementary age to college, Novotny said this was the first year in 18 years she had all five kids in school. Though she thought things would get easier, things were even more hectic, she said. "Now they all want to do the sports activities," Novotny said. "I've had to rethink how to organize my life." These are the challenges that every mother faces on some scale, whether there is only one child, or more than five. She addresses these and other topics on the blog, and includes everything from recipes to helpful information about the proper fit of a bicycle helmet. There are also tips on how to save at the grocery store, and alerts to some freebies out there. Moms also will have a chance to connect in person at the conference. There will be guest speakers, workshops and plenty of fun. "Our goal is to inspire and equip Moms so that they know we can do this together and we are not failing." For information, visit the Web site, www.247moms.com, and the blog site, www.247moms.blogspot.com. 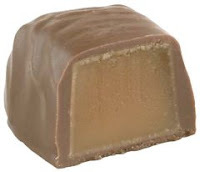 SEES Candy http://www.sees.com/ Ah, yes the milk chocolate covered caramel (Milk Butter chew) is the perfect piece of candy. The BEST news I got today was that the 24/7 MOMS Conference http://www.247momsconfernc.com/ will have SEES candy at the "Oh, how sweet it is candy buffet" that is if Trisha doesn’t get to it first . My amazing husband knows that SEES candy is a favorite of mine so he keeps a file in his office with a SEES candy menu (you can pick these up at sees) of exactly which ones I love and a menu for each of our daughters so that he can also buy them their favorite sees candies on special occasions. Do you have a Favorite SEES candy? Pizzeria Fondi http://www.fondi.com/ recently opened in our little city of Gig Harbor and the place is buzzing. I now crave their Flat bread and tasty salads. Their flat Bread is pizza crust covered in olive oil and seasonings to give it a delicious flavor. 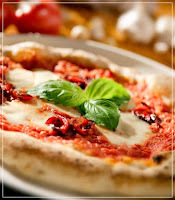 Pizzeria Fondi is a casual restaurant great for both the family and a date night with hubby. Fondis’ is owned my Restaurants Unlimited http://www.r-u-i.com/ who alos have additional favorite restaurants of mine up in the Seattle area. They have restaurants across the country so check out their web site at http://www.r-u-i.com/ each of their restaurants is incredible. Be sure to check out the rewards program online at http://www.r-u-i.com/rewards_home.php to earn dinning dollars. Where do you like to go on a date night with hubby? Quaker Dinosaur Eggs oatmeal is the perfect fast and easy breakfast for my kids. Nate is a bit addicted to it, so it often is not only breakfast but an after school snack as well. My kids love the prehistoric adventure that begins just as soon as they empty their packet of brown sugar-flavored instant oatmeal into their bowls, add boiling water and begin to stir! Within seconds, dinosaur eggs "hatch" into brightly colored baby stegosaurs and triceratops. Treat your kids to the perfct fast and easy breakfast and you wil be a happy MOM. Do you have a favorite kid breakfast? 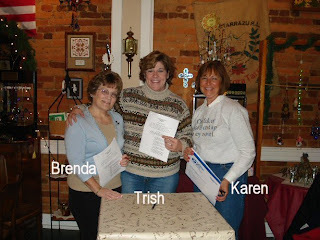 Did you read the 24/7 MOMS Circle of Friends review here at the 24/7 MOMS Blog on August 26, 2008? We annoucned a GREAT Circle of Friends give-a-way opportunity for our 24/7 MOMS. 24/7 MOMS, here are some great thrifty finds for you! 3 oz of serving of Jack or Emily's Creation at the Worlds Largest Ice Cream Social on September 25, from 5:00pm – 8:00pm. If you choose, you can make a donation to the Make a Wish Foundation on your Cold Stone Creamery visit. Over the years as a family we have enjoyed attending local events, concerts, movies and live shows. One of my all-time favorites was the LIVE Veggie Tales show we took our two youngest boys to see as a SURPRISE and were they SURPRISED when the Veggie Tale characters came to life before there eyes on the big big stage. It was a fabulous show and fun to watch my boys enjoy themselves. Often the ticket price of taking our families to events, movies and live shows can be extremely expensive. So, I’m always keeping an eye out for discount opportunities to buy my tickets at cheaper prices. Here is one I found that might help you to stretch the mighty dollar for your family. 9/10 -- Bozeman, MT -- 2:00 p.m. & 6:00 p.m.
9/11 -- Missoula, MT -- 2:00 p.m. & 6:00 p.m.
9/12 -- Federal Way, WA -- 2:00 p.m. & 6:00 p.m.
9/13 -- Redmond, WA -- 3:00 p.m. & 7:00 p.m.
9/14 -- Portland, OR -- 2:00 p.m. & 6:00 p.m.
9/15 -- Eugene, OR -- 2:00 p.m. & 6:00 p.m. If you have not registered for the upcoming 24/7 MOMS Conference, there is still time to get in on the $20.00 savings on your registration package! The 24/7 MOMS Conference is THE mom event of the year, including great speakers, workshops, an outrageous "How Sweet It Is" Candy Buffet, and every mom will take home an armload of stuff during the Moms Favorite event – Oprah style. Join me and your 24/7 MOMS friends at this year's conference! HURRY - register today for your $20.00 discount! Do you have a thrifty find, idea or suggestion? Email us at trisha@247moms.com and share it with us.